- The Andantes Bass Drums are constructed with four lightweight alloy extrusions retaining a non-porous acrylic or wooden shell which makes the drum extremely light and easy to carry. - There are 14 tension screws on each head. This makes it easier to achieve even tension throughout the entire surface of the head. Damping fitted and tuned by a meter. 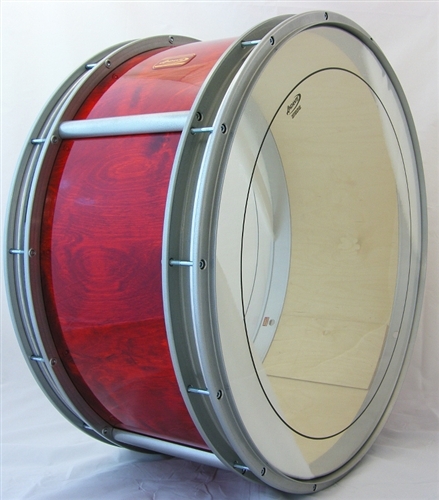 - Andante Bass drums are designed to produce a sound that is in harmony with the drone section of the bagpipe, balancing the overall sound of the band thus enhancing the ensemble.